Would you like to have a house with a private plot where you can grow your garden and enjoy the sun? Then visit our houses for sale in Villamartin Spain. 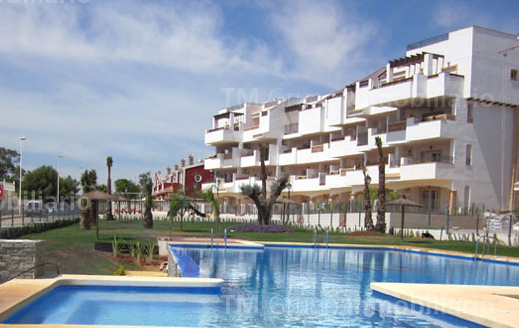 Villamartín is a beautiful urbanization that is located on the Costa Blanca South, in the Orihuela Costa area. 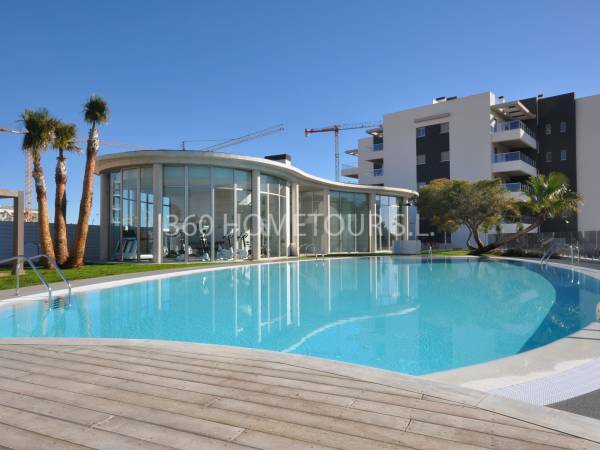 In it you can enjoy the usual climate of the Costa Blanca, where the winters are soft and sunny and the summers are refreshed by the breeze of the Mediterranean Sea. Just two kilometers away is the coast, where you will find the incomparable golden and soft sand beaches and its clear and warm waters. If you want to lead a healthy lifestyle in the surroundings of Villamartin you have magical corners to discover while doing fun hiking or biking in the company of your family. You will have the opportunity to share with your friends through social networks the beautiful framings and locations that you will capture with your camera. Every week a street market is set up where you can buy, in addition to other general items such as clothing, footwear, ceramics or local crafts, garden products freshly harvested and ripened in the sun. You will be pleasantly surprised when you check the exquisite taste of these extraordinary fruits and vegetables. 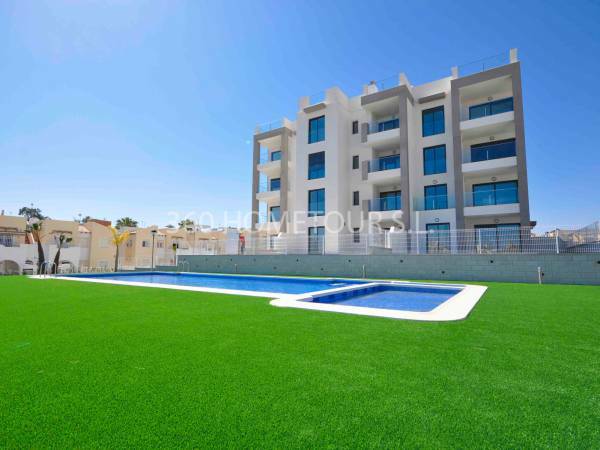 Our houses for sale in Villamartin Spain are the ideal solution for golf enthusiasts who do not want to give up enjoying the wonderful beaches of the Costa Blanca South. In Villamartín you have the Villamartin Golf Club where you can enjoy pleasant days in the company of your friends. You will delight playing golf and participating in national and international tournaments, in an impressive Mediterranean landscape, with high level facilities. But, in the nearby beach you will relax listening to the murmur of the waves of the sea while you stroll along the shore enjoying the bright and intense sun of spring. It is in this heavenly environment that many inhabitants of other European countries have chosen to settle. 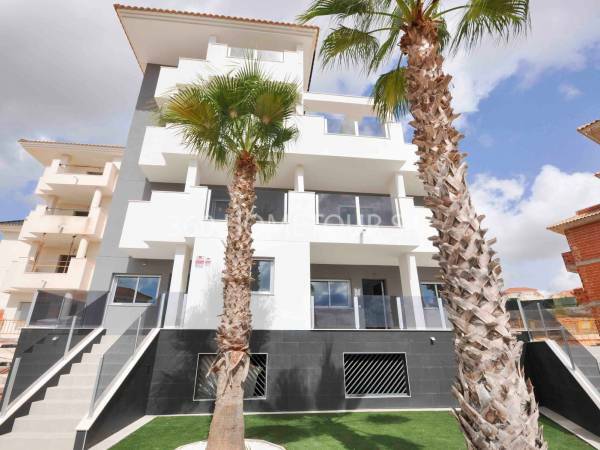 The comfort to access the international airport of Murcia or Alicante through the national highway or the highway, is another important factor to take into account if you want to establish yourself in our houses for sale in Villamartin Spain. 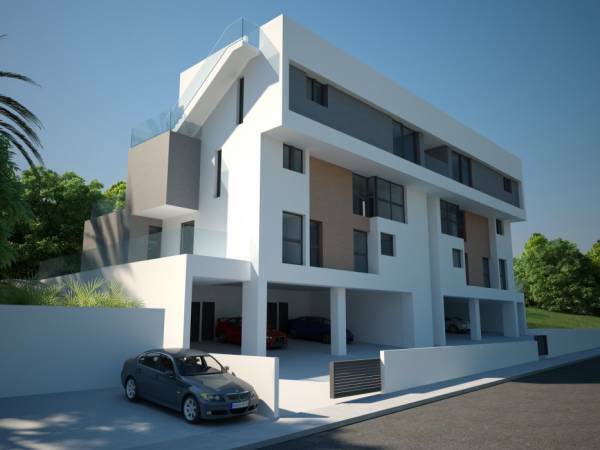 If you look in our website for houses in Villamartin Spain that we offer you will be pleasantly surprised with its characteristics, its construction materials, its qualities and the services of its environment. Do not hesitate to ask us those questions that you are asked about it. Our team of professional real estate agents will be happy to assist you personally and solve all your questions. We have a long professional career that we put at your service so that the purchase of one of our houses for sale in Villamartin Spain is comfortable and fast. To contact us fill in the contact form that appears on the web and, as soon as possible, we will contact you. You can also visit us at our offices located at Avda. De las Habaneras, 85 Torrevieja 03182 (Spain).